Wet aged and dry aged beef - what's the difference? Why is dry aged beef so expensive and hard to get in supermarkets? What is aging anyway and why does beef need it? Isn't freshly slaughtered beef better? 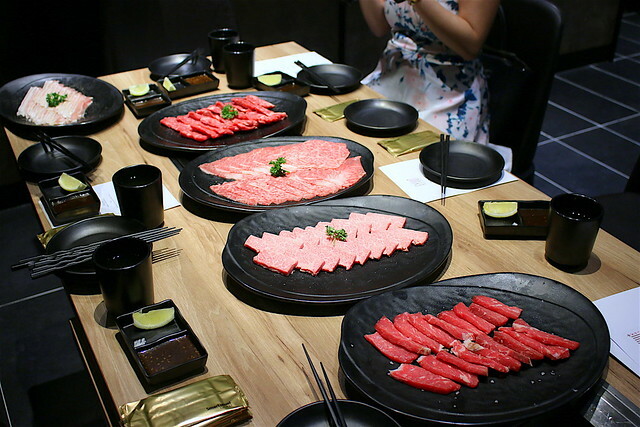 This was after an insightful interview with the folks at Emporium Shokuhin which has an on-site dry-aging facility, Singapore's first such customised facility that ages beef for retail. 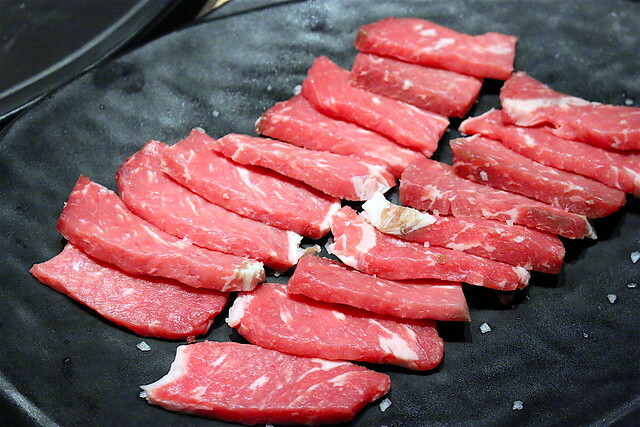 Beef needs aging in order for the meat to become more tender and tasty. Dry aging is lengthy and laborious, but produces more depth of flavour. 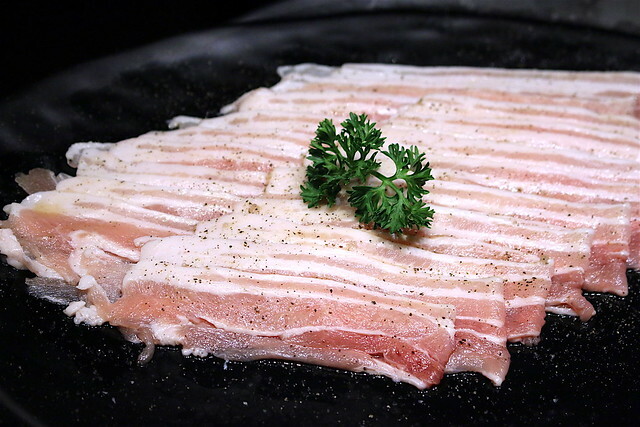 Wet-aging came out in the 60s and 70s as a faster and cheaper method that ensured no shrinkage, but meat aged in its own juices in vacuum sealed plastic tends to have a sour metallic taste. Most of our supermarket beef is wet aged. 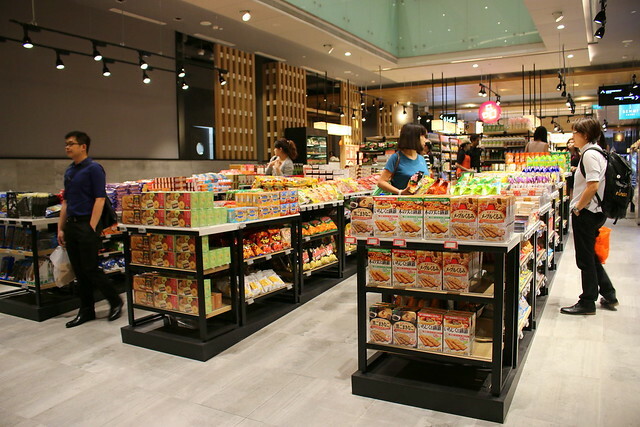 Emporium Shokuhin also has transformed 34,000 square feet of Marina Square into a Japanese gourmet grocer and dining destination. The good news is - they cut out the middlemen, so they bring the products in directly at a more affordable price. 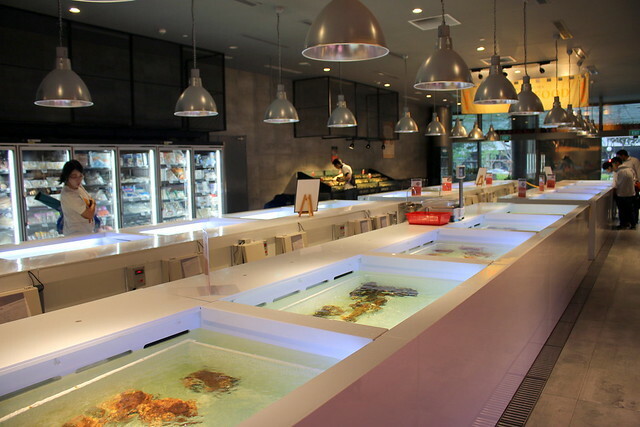 There's an extensive live seafood section with 22 specially designed sea water tanks. Looking for live Boston lobsters, uni (sea urchin), kegani (Hokkaido hairy crab), hirame (flounder), Scottish razor clams, bamboo clams and Alaskan king crabs? Take your pick. 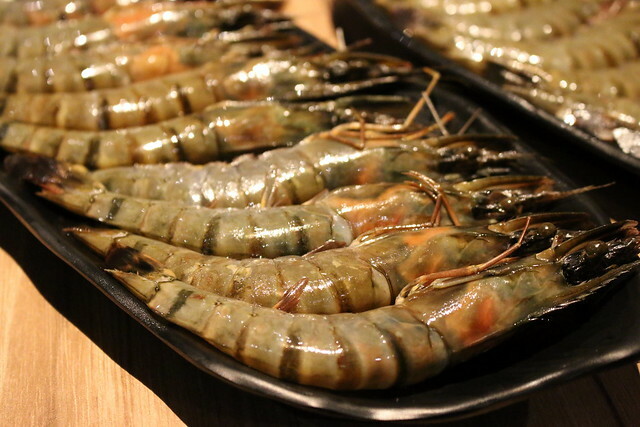 The seafood market is open from 8:30am onwards. 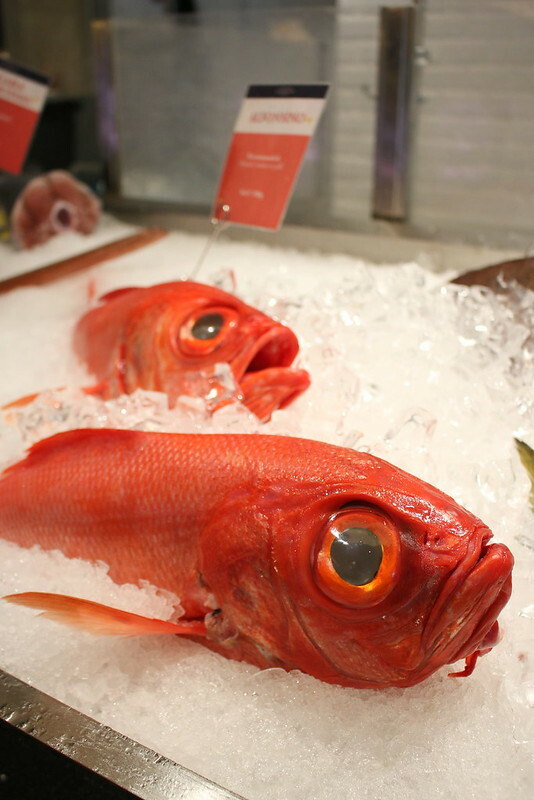 There's seafood on ice too, along with freezers holding a huge variety of frozen seafood and shellfish. 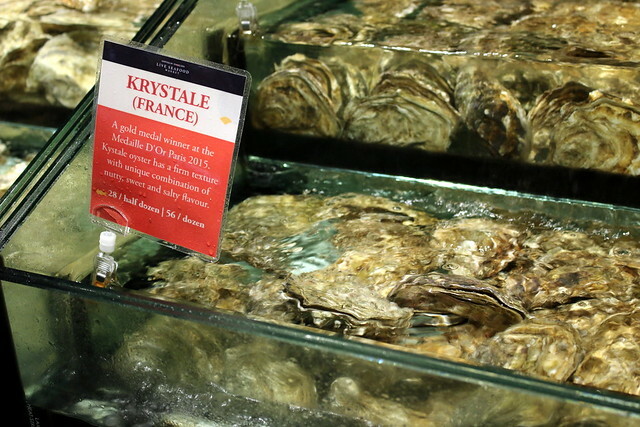 They carry 10 live oyster varietals from France, USA and Canada, including some exclusive types never before seen here. Selection varies from time to time. You can request for the oysters to be shucked and packed for takeaway. 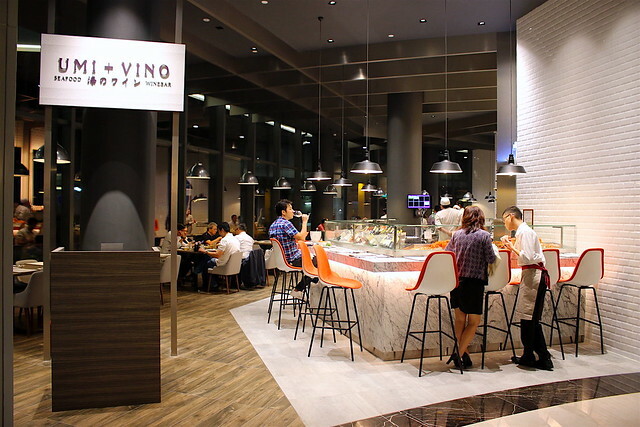 The 8 new dining concepts include a fine-dining establishment called Takujo (above), Senmi Sushi (sushi bar), Tsukeru (shabu shabu), Burosu Honten (gyoza and ramen), Kohi Koji (cafe and bakery), as well as a ready-to-eat section featuring sashimi trays, sushi sets, onigiri, and quick takeaway meals. 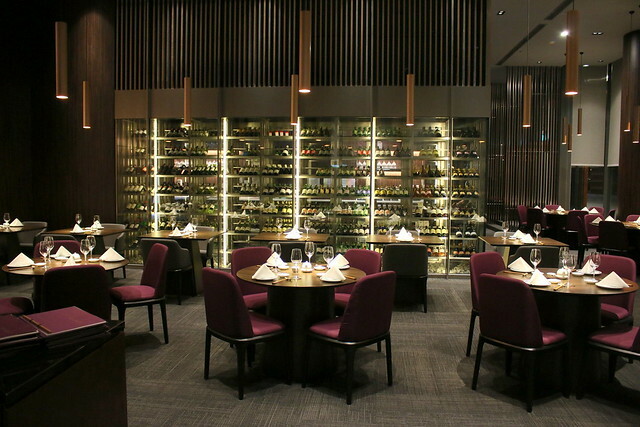 Umi + Vino is a premium seafood wine bar that showcases ocean catch also retailed at the live seafood market. 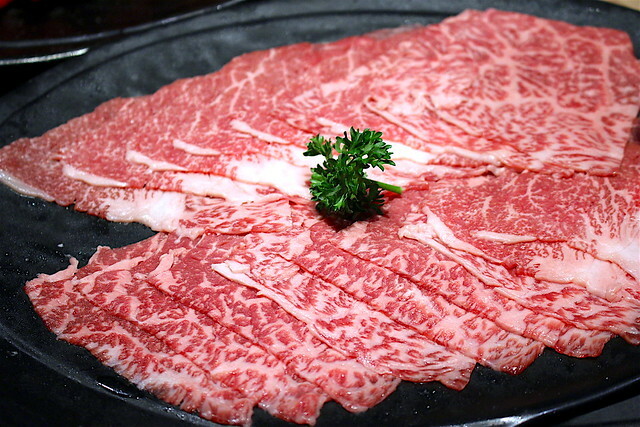 Just look at how floral the marbling patterns are, and how they dominate the meat. 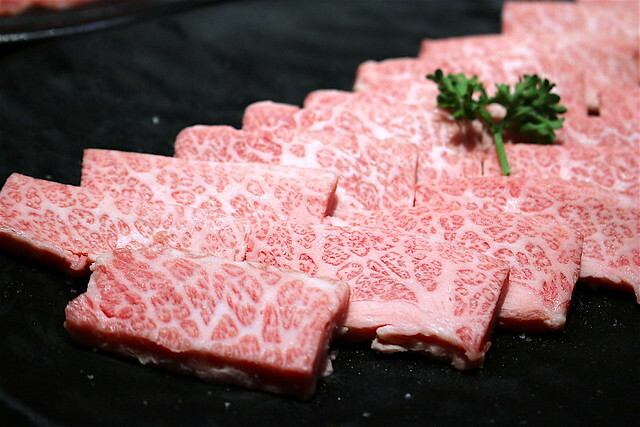 This is the wagyu grade with the most fat content, and it's rom Miyazaki prefecture in Japan, which produces some of the finest wagyu. 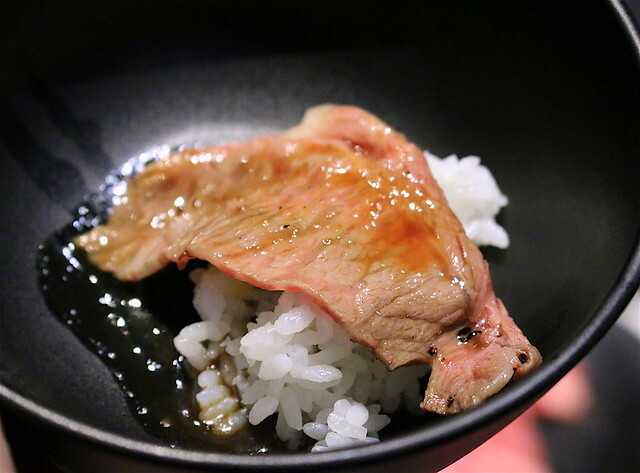 Zabuton means cushion in Japanese, and this refers to the small cushiony flap of meat between the chuck and the ribeye. Sliced thinly, this part is just amazing when lightly grilled. 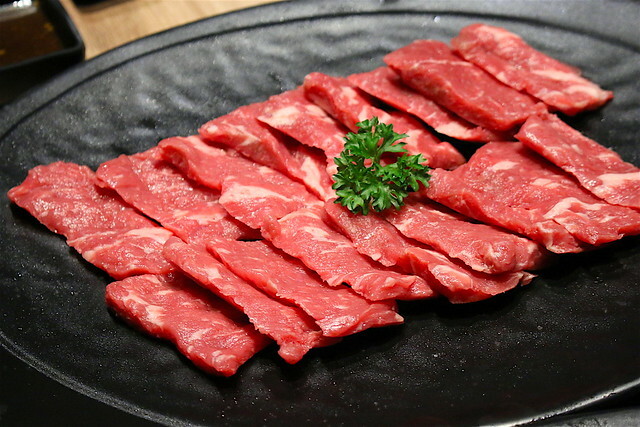 Emporium Shokuhin ages its beef anywhere between 14 to 40 days. Any meat aged shorter than 14 days will probably not show much difference. 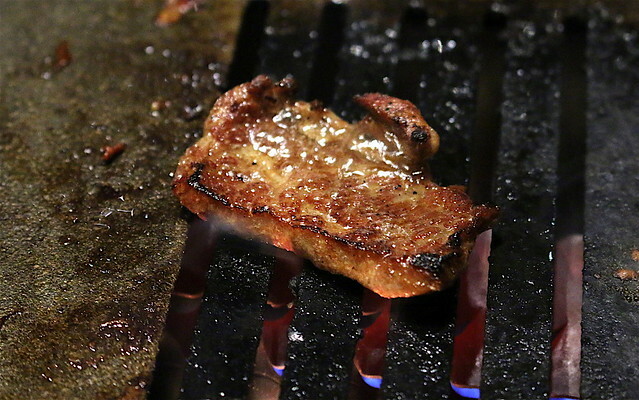 Beef that is aged too long will start taking on a funky acquired taste. You can compare the aged beef with the regular wet aged version. The dry aged version is noticeably more tender and complex in flavour. 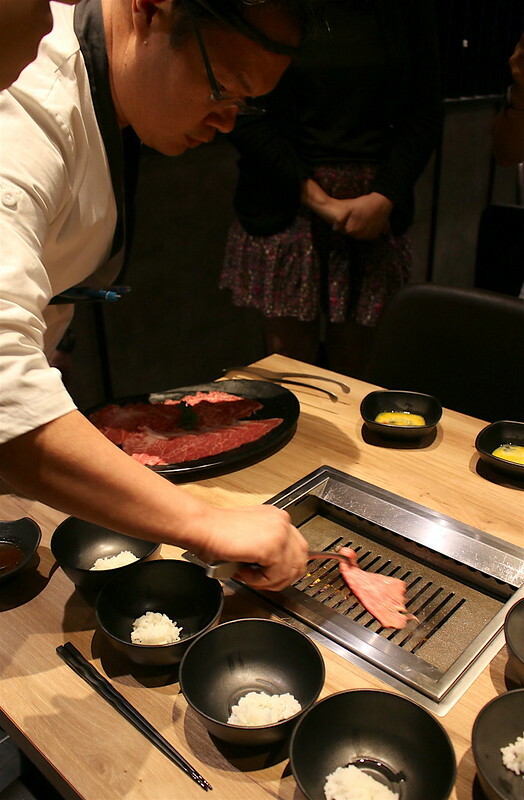 The wait staff from Gyuu showing us how to best grill the delicate meats - sweeping it back and forth on the hot smokeless grill. Just a few seconds and your meat is done. The result? A tender slice of heaven. The thicker slices can be left to cook a little longer. I especially love the charred edges. If you don't fancy red meat, there's always seafood, and vegetables like eringi mushrooms too. What's a good BBQ without some tasty pre-bacon? 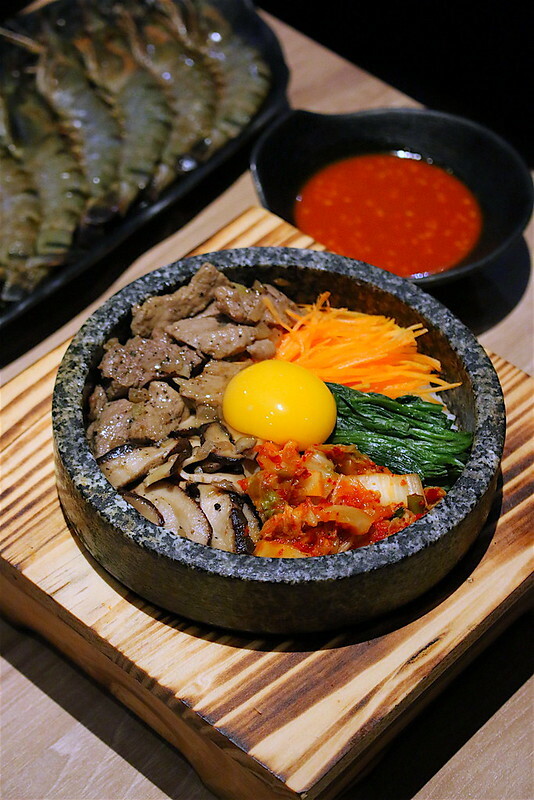 Gyuu has some dishes like Ishiyaki Bibimbap (S$16) to go with your meats. Hopefully in future, they will include more cuts of meat like flap and skirt - kainomi, sagari, harami - and hey even horumon (offal). 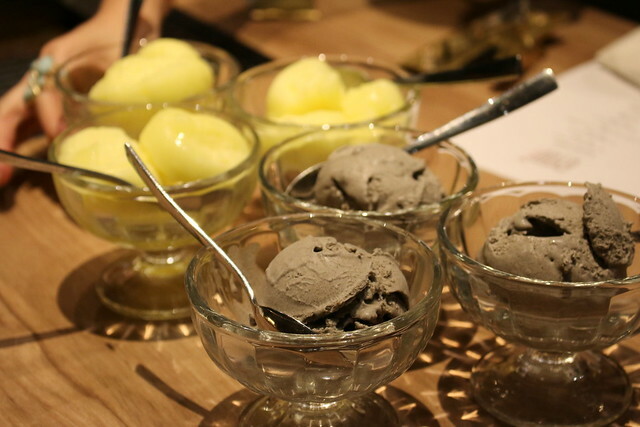 Finish off with some yuzu or goma ice cream - perfect after a sizzling hot meal.